“LINE TRAVEL jp” (https://www.travel.co.jp/) under joint operation by Venture Republic Inc. (Headquarters: Tokyo, Minato-ward, Chief Executive Officer: Kei Shibata) and LINE Corporation (Headquarters: Tokyo, Shinjuku-ward, Chief Executive Officer: Takeshi Idezawa), start delivering free sticker of official brand mascot “Tabino” on 9th October 2018. This sticker has 16 kinds in total, and could be used for daily conversation with anyone on free messaging application “LINE”. 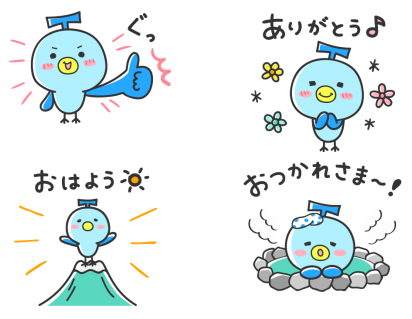 Once connect and become friends with our service “LINE Travel jp”, you could get the Tabino sticker on your hands. Venture Republic and LINE are pushing on toward the most unique online travel services in the world that address end-to-end needs of travelers.